We have upgraded our website with a new login system. Click here to learn about the benefits of the new system. See setup instructions below. Museum members have accounts waiting for them—all you have to do is reset your password. Step 1: Visit the Forgot your password? page. Step 2: Enter the email associated with your membership. Not sure what that is? Call donor services at 808-532-8724. Step 3: Check your email. You will receive an email with a link to create a new password. After clicking "Update Login" your account is ready for use. 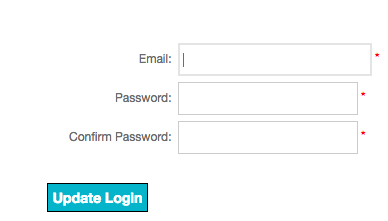 Step 1: Simply visit the Register page to create an account. Step 2: Once you have subitted the completed form, check your email for the confirmation link to activate your account. You can log in and access your account at any time through the main navigation bar on honolulumuseum.org. On our mobile app you can log in to your account, see your membership card (valid for front-desk and event check-ins), purchase event tickets, access information about the museum, and peruse our blog, YouTube channel, and social media feeds. Step 1: Search “Honolulu Museum of Art” in the Apple App Store or Google Play to find and download our new app. Step 2: Once inside, go to “My account” to log in and view your membership card. Have more questions? Give us a call Monday to Friday, 9am to 5pm, at 808-532-8724 to speak with member services.